One of the jobs of The Sands Sustainability Team is full waste checks, separation and recording. 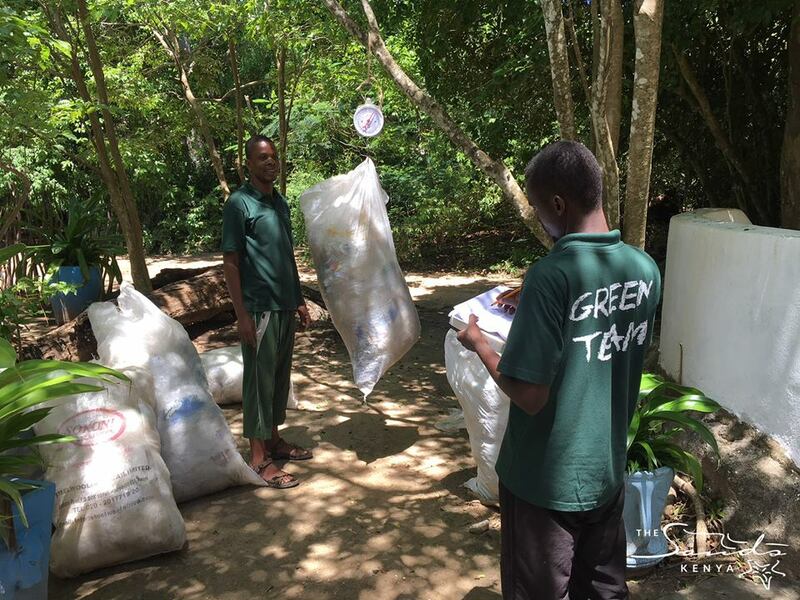 Not only does The Sands manage and record it’s own waste but we also collect 'single-use' (not anymore) plastic packaging and bottles from other locations around Diani to use in recycling and up-cycling projects. Our team's recent haul after collecting bulk packaging from the two largest supermarkets in Diani removed 122kgs of plastic before it was burnt or reached the dump!